O. Richard Bundy, Penn State's longtime Blue Band director, is getting ready to hand over his baton. On Thursday evening Bundy confirmed to StateCollege.com that he plans to retire at the end of the 2014-15 academic year. It became apparent that a change was anticipated after the university posted a notice advertising a job opening for a band director. The job description says a candidate's responsibilities include "... leadership for athletic bands and directing the renowned Penn State Marching Blue Band, conducting a concert band, and contributing to the School's instrumental music education program." "A national search will be conducted throughout this academic year to identify a qualified candidate," says Bundy, adding, "I have enjoyed the opportunities I have had to serve Penn State, the School of Music, Intercollegiate Athletics and - most of all - the students of the Penn State Bands program." Bundy's blue and white ties go back many years. He earned a bachelors degree in music education from Penn State, and later, a Penn State doctorate. He joined the Penn State School of Music in 1983 -- 31 years ago. He was appointed director of the Penn State Marching Blue Band in 1996. The Blue Band has been a Penn State tradition for 114 years and fans eagerly anticipate halftime performances during football games at Beaver Stadium. The band has appeared at 40 bowl games, including the Rose, Orange, Cotton, Sugar, Fiesta Bowls. With Bundy as director the Blue Band earned national recognition, receiving the 2005 Sudler Trophy from the John Philip Sousa Foundation. 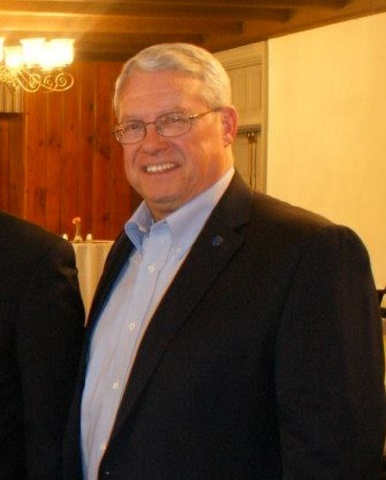 He was named Advisor of the Year by the Association of Student Activities in 2008. Penn State Lion's Paw Alumni Association gave Bundy the Lion's Paw Medal in 2011, and he was named an Alumni Fellow of Penn State just last year. "I look forward with anticipation - and some degree of trepidation - to retirement," says Bundy, "although I know I will greatly miss the wonderful students, supportive staff, and professional colleagues who have been an important part of my 35 year career with the Penn State Blue Band." Click HERE to see the Blue Band in action. Click HERE to see the Blue Band warming up before a football game. Steve Bauer was the Managing Editor of StateCollege.com. Steve and his wife Trina are longtime area residents. They reside in State College along with a wacky Golden Retriever named Izzy. One of Linebacker U.’s finest products is taking his experience to another Pennsylvania school. 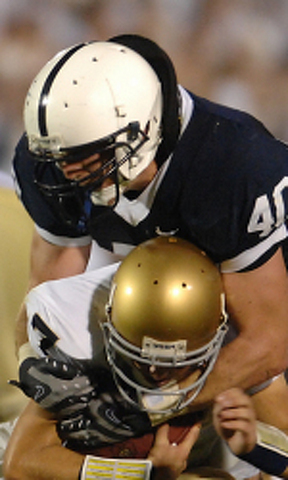 Dan Connor, Penn State’s all-time leading tackler, was named West Chester’s new linebackers coach Thursday.